Indigenes of the Federal Capital Territory (FCT), under the aegis of Original Inhabitants Development Association of Abuja (OIDA), have called on the Federal Government to accord state status to the capital territory to enable them elect their own governor. Pastor Danladi Jeji, President of OIDA, made the call on Saturday in Abuja, during a town hall meeting by FCT natives on the future of Abuja indigenes. He said that if the natives were allowed to elect their governor, members of house of assembly, and more local area councils created, there would be more accountability and development. “The failure of the Federal Government to resettle, relocate and compensate our people at the initial cost of N2.8 billion in 1978 has led to several policies summersaults. “In spite of all the challenges, we are still here, and we are not prepared to go anywhere, because we have nowhere to go. 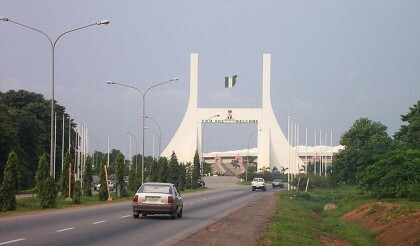 He stressed that the constitution should be amended to reflect cosmopolitan nature of Abuja. Jeji said: “This is our own idea of restructuring, a restructuring based on devolution of governmental powers from federal authorities to Abuja city authorities. “We no longer want the present military contraption, where a minister is appointed to run the Federal Capital Territory like a cantonment.